Stay connected to your data with the Keyclip for USB Drives! 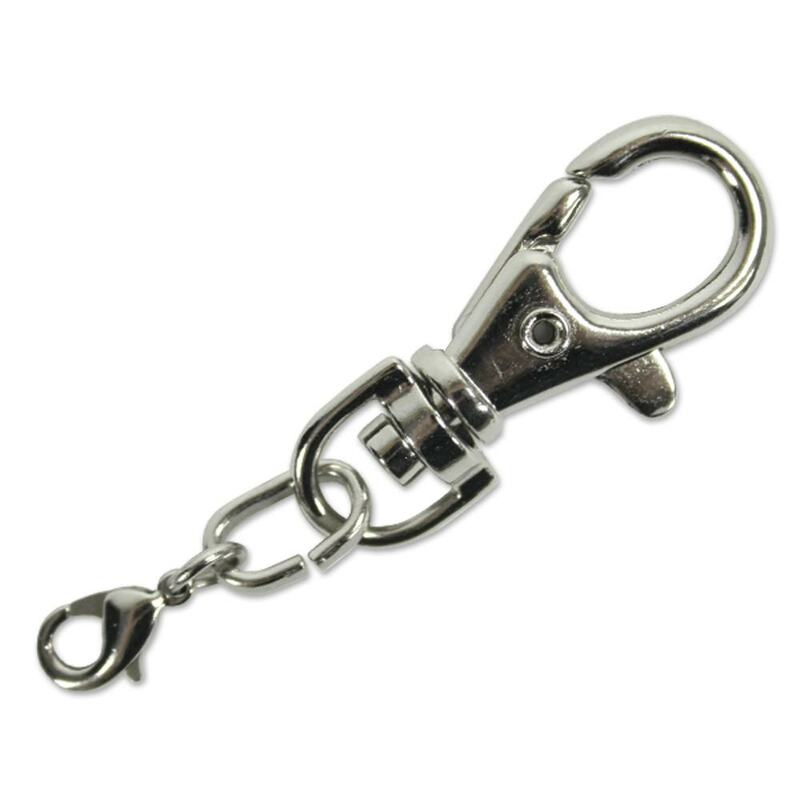 This pocket sized metal clip is durable and versatile, able to clip onto belt loops, keyrings, straps, laptop bags, and anywhere else you need your USB at the ready. Comes with a full swivel base and clip. Available in packs of 100, they make for great additions to your promotional gifts and giveaways! Keep your USB drive close with our durable and dependable Keyclip for USB Drives! This pocket sized key clip is made out of metal and built to last. It features a full swivel base, a secure clip, and a miniature second clip for extra portability. The Keyclip is easy to attach to belt loops, straps, keyrings, laptop bags, and anywhere else you need your trusty USB close at hand. Stay connected to your data with a piece of hardware you can trust: The Keyclip for USB Drives. Available in packs of 100, these clips make great add-ons to promotional gifts and giveaways!